Need help loading a truck or pod? Just need that desk moved from one side of the room to the other? Give us a call because no job is too small. We understand sometimes you just need some lifting help or shuffling around. With our labor only service we provide the movers just not the truck. Call Brown Box Movers for a free moving estimate today! 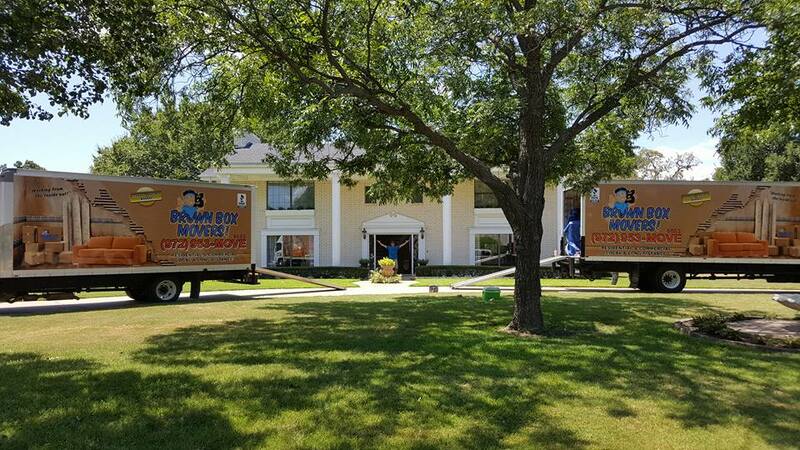 We pride ourselves on being the most skilled, conscientious, and dedicated moving company in North Texas. Whether you are traveling to or from DFW, our experienced residential and commercial movers can make the transition easy for you. Call us today! Brown Box Movers is family owned & operated. We thrive on excellence, professionalism, & exceptional customer service. We are here to ensure our customers have an affordable, stress-free & efficient move as possible. Don’t trust your belongings to just anyone. Rely on Brown Box Movers for a hassle-free move. To speak to a mover from our team or to schedule an on-site estimate, call us today.